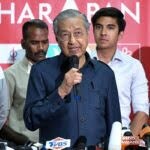 Datuk Seri Najib, who is also Finance Minister, was quoted saying in a TV3 interview that the nation’s economic fundaments were strong enough to withstand the impending economic challenges. He said he did not think there will be retrenchments or income drops from the slowdown, though it could result in lower rates of new jobs. The Budget Revision 2015 early last week saw a reduction in operating expenditure by RM5.5bil and the postponement of this year’s National Service Programme, saving RM400mil to offset the reduction of revenue. However, the nearly RM48.5bil allocated for development was maintained. However, the Prime Minister highlighted the RM48.5bil allocated for development remained unchanged. He added that April 1 remained the best date to implement GST due to relatively low inflation rate, which is expected to be between 2.5% and 3.5%. Overall, the changes in the global economy should not delay our sideline the national goal of achieving high-income nation status by 2020.